Set up your preferred payment gateway, and start accepting card payments to instantly increase your cash flow. Zoho Invoice lets you store your customers' card details and charge them on a weekly, monthly or yearly basis. Need to issue a refund or make adjustments for an overpaid invoice? No problem! Just create a credit note and apply it to another invoice or record a refund. 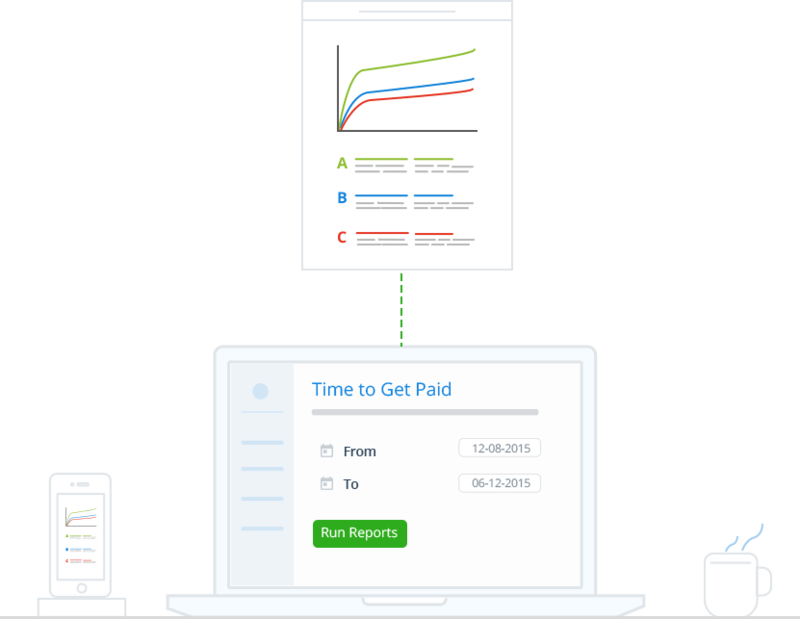 Instantly find out which customer is slow to pay and which invoices have already been paid. Also run detailed reports on issued credit notes and refunds. 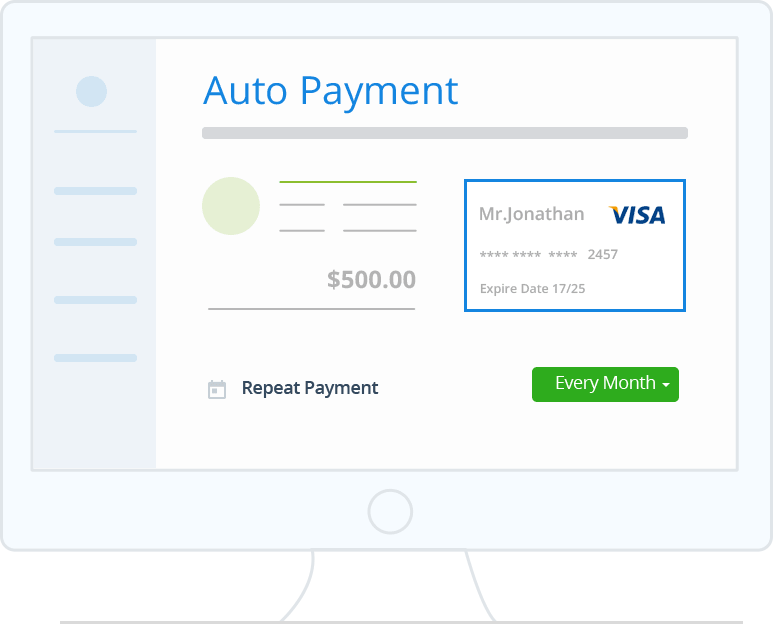 How can I integrate Zoho Invoice with a payment gateway? Zoho Invoice is integrated with multiple payment gateway, letting you integrate with a gateway of your choice and collect payments faster. You can enable payment gateway under 'Integrations' and choosing a gateway of your choice. What are the different options to collect payments in Zoho Invoice? 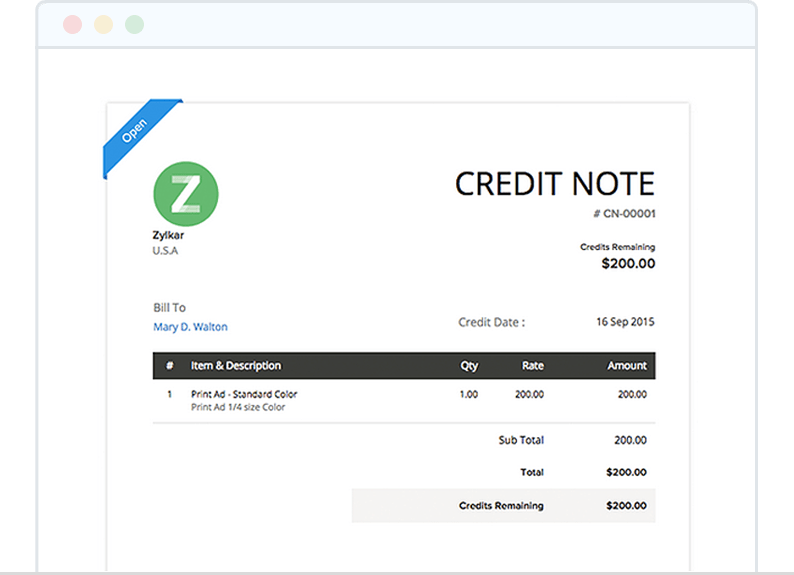 Zoho Invoice lets you collect payments through credit card, cash, checks, & ACH. 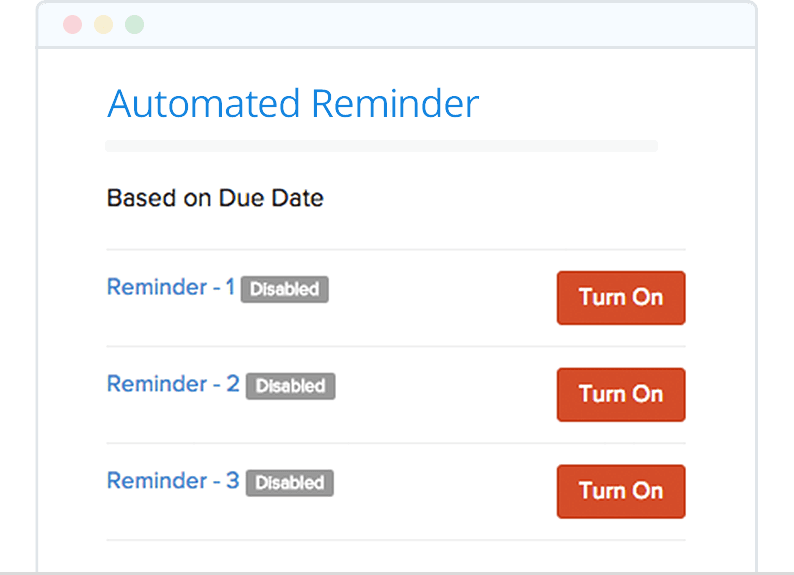 How do I send payment receipts with Zoho Invoice? Zoho Invoice lets you send payment receipts online once you receive payments from customers. Record payment received and Zoho Invoice generates the payment receipt, letting you mail it to your customer. You can also customise the payments receipts with the templates available.